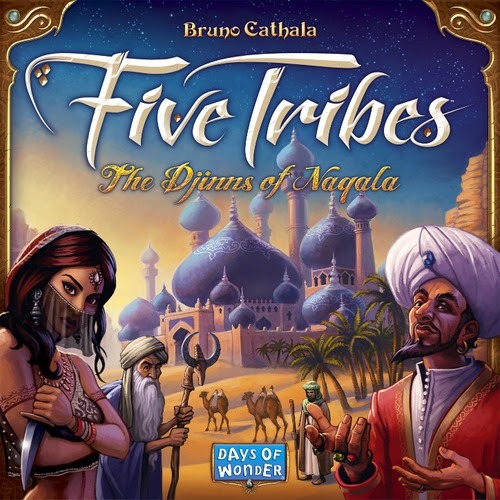 Newly released from Days Of Wonder is Five Tribes: The Djnns of Nagala, considered the first gamers game from Days Of Wonder. The game designer Bruno Cathala wanted to put a new twist on worker placement games. Five Tribes is what Bruno labels a worker "displacement" game. All of the game's wooden meeples start out randomly placed on a 5 x 6 grid of randomly placed tiles. 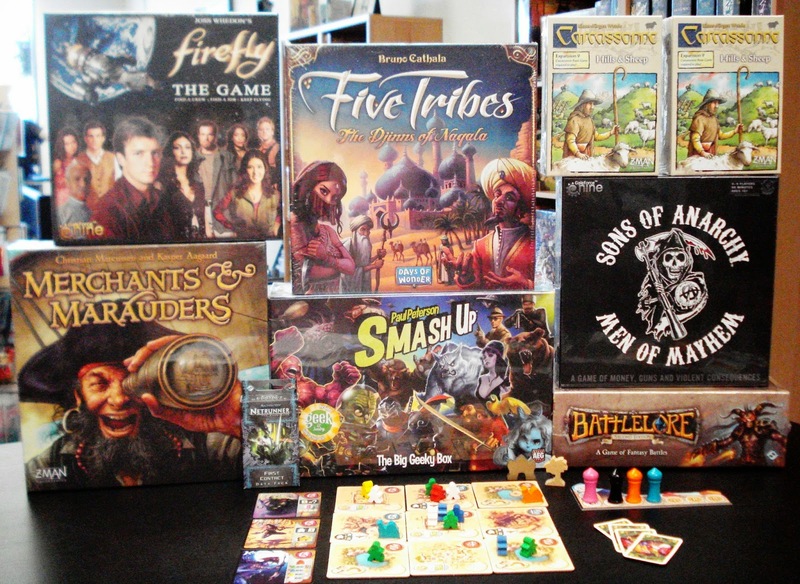 The meeples make up 5 tribes; the Viziers, the Elders, the Merchants, the Builders, and the Assassins with each a specific color and specific action. Each round is initiated with players bidding for turn order. On their turn players will select a tile of meeples, move and drop them off on adjacent tiles, perform the tribe action related to the last meeple relocated during the move action and then perform the action associated with this last tile. There are many ways to score victory points in this game. Catch this video overview by Game Boy Geek. New from Gale Force Nine is Sons of Anarchy: Men of Mayhem, a game of money, guns and violent consequences based on cable network FX's popular show about the lives of a close-knit outlaw motorcycle club. 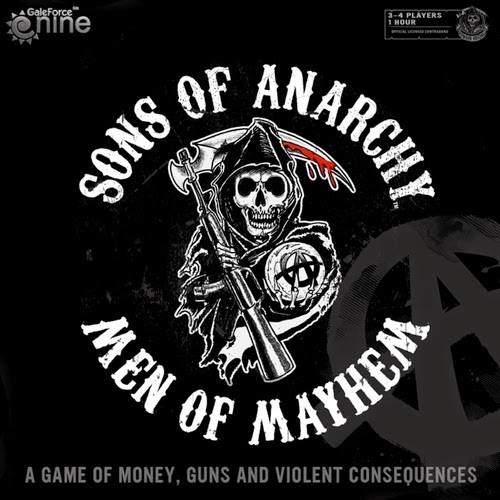 Sons of Anarchy: Men of Mayhem consists of a modular game board consisting of 24 site tiles, double-sided clubhouse cards that provide 2 levels of play. One side of a club card is Unleaded, where every club has the same starting resources and no special rules. The reverse side is High Octane, where each club has different starting resources and unique special rules that reflect each group's particular brand of mayhem. In Sons of Anarchy: Men of Mayhem you will control an outlaw biker club, directing its various criminal activities in the bid to control the town of Charming and raise the most cash. You will have a unique club to lead in the game and on your turn will choose what sites of interest to fight for and what territories to yield. Negotiate, threaten and ally with rival clubs when it serves your needs, but be wary of the inevitable knife in the back. Be the club with the most cash at the end of the game wins. Catch this video overview by Gale Force Nine. Arriving this week is the latest data pack, First Contact for the base game Android Netrunner, LCG. This data pack contains 60 new cards designed to augment Corp and Runner decks. Contains cards 41-60 of the Lunar Cycle.